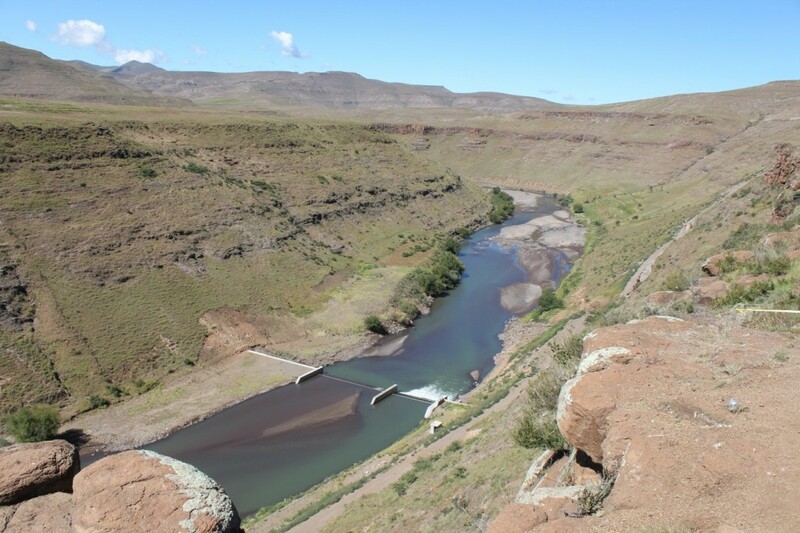 The Institute of Natural Resources (NPC) has been contracted by the Lesotho Highlands Development Authority (LHDA) to undertake a baseline study and environmental water requirements assessment of the Senqu River, down-stream of the planned Polihali Dam on the Senqu River in the Lesotho Highlands. Baseline surveys to determine the present ecological state of the river, including the state of the hydrology, hydraulic habitat, geomorphology, water quality, riparian vegetation, fish and benthos. Baseline social survey to determine the relationship of local communities with the natural resources of the river. Establishment of objectives for management of the river downstream of the Polihali Dam. Development of a model for determination of the Instream Flow Requirements (IFR) or the environmental water requirements (EWR) of the downstream river. Determination of the EWR under different scenarios of dam operation. Proposal of a dam operating rule for water releases to the downstream river. Assessment of the residual impacts and resource loss resulting from implementation of the dam development and the associated downstream flows. Estimation of the need for compensation of local communities suffering a loss of services. Development of a monitoring programme with associated database for long-term management of the downstream flows and consequences. The ELOHA framework – is an open framework developed and accepted globally to ensure that all of the necessary factors that contribute to successful management of environmental flows are considered, and accommodates whatever models are suited to this goal. Probability modelling – Bayesian Networks are used to represent and evaluate the probabilistic relationships between abiotic components of the ecosystem, which will primarily be influenced by flow alterations, and biotic components. Understanding these relationships forms the key to the determination of the environmental flow requirements designed to meet any number of desired endpoints for the downstream river. These endpoints may be to safeguard the natural ecosystem or to ensure provision of ecosystem services to society. Risk Assessment – the determination and management of environmental flows is fraught with uncertainty. In order to deal with this uncertainty, and to consider the range of scenarios that are possible in the management of the Dam water releases, Regional Risk Assessment has been added to Probflo as a the final technique used to determine the flow requirements. This project is being carried out over 19 months from January 2013 to August 2014. The results of the EWR assessment, primarily the discharge requirements, will be fed into the design of the Polihali Dam. Following construction of the dam, the EWR/IFR will be implemented as part of the system management procedures.